In addition to the Qedit User Manual and Qedit Change notice, there are other manuals that come with Qedit. Manuals for bonus programs and the contributed library are available in Robelle's Prose format, not in PDF format. They are found in the Robelle account on the HP e3000, and are printed using the Printdoc program. Printdoc prints the manual on your printer, whether LaserJet or line printer. To print them on your printer, whether LaserJet or line printer, run the Printdoc program. Printdoc is menu-driven, and very easy to use. Printdoc asks you for information, and if you are not sure of your answer, you can ask for help by typing a question mark (?) and pressing the Return key. There are two steps for printing a manual: first, choose one of the manuals on the menu; second, select a printer. Printdoc supports most types of LaserJet printers and regular line printers. When you purchase Qedit, customer support is included for the first year. After the first year, there is a yearly Maintenance fee. If you are a Right-to-Copy user at a branch of a larger company, you have two options. If you pay only the one-time Extra CPU surcharge, then you must obtain your support from your own corporate resources. If you wish to have support at your own location, you may obtain this by also paying the regular Maintenance fee. With this yearly support for Qedit, you are entitled to call with questions. Service also supplies you with a yearly update to Qedit. Do you receive a copy of What's Up, DOCumentation?, our regular news memo about Robelle, MPE, and HP-UX? We distribute our news memos only to sites with current service. Your copy may be going to your corporate headquarters. The lastest newsletter is also available from our Web site at www.robelle.com/newsletter/. Qedit comes with an array of contributed software in the QLIB library (in the QLIB groups of the Robelle account). The tools in QLIB, such as Prose to print manuals, can be extremely handy. As well, your Robelle license may entitle you to receive our Bonus programs: Compare/iX, a file comparison tool, HowMessy, an analyzer for database efficiency, Select, a menu processor, Spell, an English spelling checker, and Xpedit, a VPLUS text editor. If you have the Bonus programs, you may only use them on appropriately licensed CPUs; you may not give a Bonus program away. However, QLIB programs may be used on any CPU and given away freely. To browse through the Robelle account, including QLIB, use our Select "menu" program. Select allows you to run programs, get help, and print manuals, all without knowing any MPE commands. Compare/iX compares two text files (Keep or Qedit format) and prints out the differences. The basic comparison unit is a line. Compare/iX identifies three types of differences: lines that are in the first file but not in the second; lines that are in the second file but not in the first; and lines that are in both files, but don't match. There is no Classic version of Compare/iX for MPE V.
Spell is a spelling checker that reads a file and produces a list of misspelled words. Spell comes with an 80,000 word English dictionary, and you can add your own words into global or local auxiliary dictionaries. Spell reads Qedit files, and has an option to generate an error file that is compatible with the :Editerror command. UPPERCASE - If the commands and keywords are shown in uppercase characters in a syntax statement, they must be entered in the order shown (example: ALL). However, you can enter the characters in either uppercase or lowercase. 1. Lowercase, highlighted - These are "variables" to be filled in by the user (example: keyword). The variables may be highlighted by underlining or italics. Each such "variable" is defined elsewhere (see the "Qedit Glossary" on page 331 when you have trouble). In the Help command, highlighting is not available, so these variables appear simply in lowercase. 2. Brackets - enclose optional fields (example: [ALL]). 3. Braces - enclose comments which are not part of the command. However, braces and comments are accepted in actual Qedit commands. 4. Up lines - separate alternatives from which you select (example: SET CHECK [ON|OFF]). The choices are sometimes listed on several lines without "up lines". 5. Dot-dot-dot (...) - indicates that the variable may be repeated many times in the command. 6. Other special characters - literal symbols that must appear in the command as they appear in the manual (for example, "=" in Add linenum = rangelist). � The Qedit Server Login on HP-UX would not honour administrative lock and other security measures. The MPE release has had no changes. � UDC�s would stop working properly if a Calc command longer than 138 characters was entered. � Text command. The text command would fail with Integer Divide by Zero error when texting in some variable length or bytestream files. The following enhancements have been implemented in the Qedit for Windows server. Here we describe how to install and configure Qedit, and how to integrate it with your compiler tools. The following are general notes about installing Qedit. Use the following installation instructions if you have just purchased Qedit and are installing it for the first time. If you already have Qedit on your system, and are installing an update or pre-release of Qedit, you will find specific installation instructions in the change notice included with your tape. TRIAL USERS: Refer to the Robelle Trial Handbook that accompanied your trial tape. Qedit edits compact files of a special format called workfiles. In order to be able to compile these files without doing a Keep command, you must "fix" the MPE compilers. This applies to the Classic 3000 compilers (CM), which might exist on either an MPE V or MPE/iX system, and the NM compilers on MPE/iX only. The methods and installation steps are quite different between the CM and NM Qedit compiler interfaces. Many third-party tools either read Qedit files already (e.g., PowerHouse, MPEX) or can be altered to read Qedit files (techniques for doing this are discussed here). This step requires three separate procedures: restoring all Robelle files from tape to disc, building (or upgrading) the Robelle account using the job stream that we provide, and streaming the installation job stream. All these procedures can easily be accomplished if you log on as Manager.Sys. First, you have to restore all the Robelle files from tape. Check the :Restore listing for files that could not be restored because they were busy for any of the following reasons: someone was using them, they are held as suspended son processes (menu system), they are allocated, or someone was backing them up! Chase away any users and deallocate any busy programs. Then try the :Restore again. You must build (or upgrade) the Robelle account with the job stream we provide. Stream the job that builds and updates the Robelle account. If the Robelle account already exists on your system, the installation job preserves the current passwords. If the account does not exist, it is created with the password XXXX. The Mgr.Robelle user does not have a password. You should change the passwords to something that will be hard for outsiders to guess. Please note that during installation, we add OP capability to the Robelle account. When the Qedit installation is complete, you can, if you wish, remove the OP capability. :warn @;please exit from Qedit NOW! Check the installation job $stdlist. If anyone was using Qedit or attempting to back it up, the job will fail. Chase away any users, ensure that backup is not in progress, then stream the installation job again. The installation job renames your current versions of Qedit to the PubOld group of the Robelle account. If you need to move these versions back into production, use the Previous.QeditJob job stream. If you wish to print manuals, move Qedit to another account, read on in this chapter for instructions. Qedit comes with an array of contributed software in the QLIB library (in the QLIB groups of the Robelle account). QLIB programs may be used on any CPUs and given away freely. Your Robelle license may also entitle you to receive our Bonus programs: Compare/iX, HowMessy, Select, Spell, and Xpedit. These programs reside in the Pub group of the Robelle account. Bonus programs can only be used on authorized machines, and you may not distribute them to your friends. If you received Bonus programs with this version of Qedit, use the job stream called Bonus.Job.Robelle to install both the QLIB and Bonus programs. If you did not receive Bonus programs, use the job stream Qlib.Job.Robelle to install the QLIB programs. If you skip this step, you may end up running old versions of these programs. The Spell Bonus program requires an additional install job to build its main dictionary. This job is required if you want to use Spell, and the Spell and Words commands in Qedit. By default, the American spellings are used. To use British spellings, modify the line that sets the SpellAmerican JCW so that the JCW is set to False. This job stream could take 30 to 60 minutes to complete; there is no reason to wait for it to finish before going on to the next step. See the Spell user manual for more information on using Spell. On MPE/iX, if you use any NM compilers, you will want to install the new NM compiler interface. If you still use the CM compilers as well, you will want to install that compiler interface too, as described under step 4. Then stream Qcompxl.Qeditjob to make changes to the Pub.Sys compiler command files. 2. Add ";shr" to the File commands for the text and master files. When installing Qedit on MPE/iX, you may have to install the NM compiler interface (described earlier) and the CM compiler interface (described here). MPE V, on the other hand, has only the original "CM" compilers to worry about. After Restoring the files from tape, you have to choose an installation method: integral or isolated. There are two methods of fixing the compilers on your system: integral into Pub.Sys or isolated in the Robelle account. The isolated method is best for new or trial-period users, because it is faster to install and easier to remove later. You can start with the isolated method and convert easily to the integral method later. Integral Method. The compilers in Pub.Sys are "fixed" directly and a segment is added to the System SL. The standard :Cobol and :Pascal commands of MPE will then compile Qedit workfiles. :Sysdump is used to make a new cold load tape for the next time you must boot the system. Isolated Method. The MPE compilers are copied into the Q.Robelle group and the original compilers are left in the Pub.Sys group. No code is added to the System SL. Because the "Qedit" compilers are not in Pub.Sys, you cannot compile Qedit workfiles except from within Qedit. The job stream Qeditj1.Qeditjob.Robelle makes integral compiler fixes. Use it either to update the fixes to a new version or to re-install the fixes after a MPE update from HP. Because this job modifies the compiler program files in Pub.Sys, you should :Store @.Pub.Sys before starting and save the tape. You need another small tape for a new cold load tape. Ensure that no one compiles until the installation is complete. Stop all jobs and send an operator warning. Log on as Manager.Sys, modify the first line of the Qeditj1 job to include the passwords, then :Stream the job. The job runs Qedify.Pub.Robelle to update the compilers in Pub.Sys and install nonprivileged hooks into them, so that they can access Qedit workfiles. The job adds a code segment from Qcompusl.Pub.Robelle into Sl.Pub.Sys and then requests a tape mount for a new cold load tape. Mount a tape with a write ring and :Reply. Save this tape and use it for any future cold loads. The CM compiler interface is now installed. Compiles done inside or outside Qedit work on either Qedit workfiles or on regular Keep files. The job uses Qedify.Pub.Robelle to copy the compilers from Pub.Sys to the Q.Robelle group, then "fix" them to read Qedit files. The original compilers in the Pub.Sys group are not modified. Once this step is completed you can use the CM compilers on Qedit files from within Qedit, but not at the MPE prompt. There may be obsolete or unnecessary files in the Robelle account that you can remove to save disc space. If you have been a Qedit user for several years, you may have obsolete files in the Robelle account. For example, the file Qapply.Doc.Robelle is an older version of part of the Qedit User Manual. It should be purged. To remove all obsolete files that were part of the Qedit product, stream the job Obsolete.Qeditjob.Robelle. If you are extremely short of disc space, you can purge many files in the Robelle account after you complete all installation steps. The only files you must have to run Qedit are those listed below. Of course, if you have other Robelle products such as Suprtool, you do not want to purge the files needed for them, which are listed in their User Manuals. There are a number of jobs in the Purgejob.Robelle group which can help clean up the Robelle account of unwanted files. One in particular that you may want to use is Cleanup.Purgejob.Robelle. After you have completed the Qedit installation, Cleanup gets rid of all the pre-installation files. Qedit follows the location of the program file in deciding what file names to open. If you move the Qedit program to the PUB group of the UTIL account, Qedit looks for the files listed above in that account rather than Robelle. If Qedit resides in a group named Pubnew (or Pubxxx), the three "help" files will be searched for in HELPNEW (or HELPxxx). 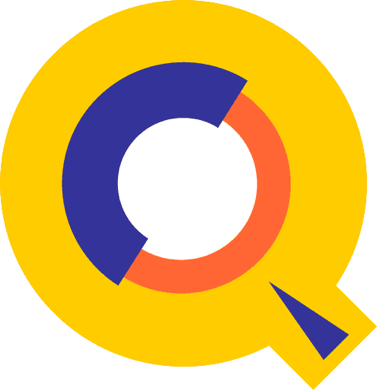 The Qeditmgr file is always assumed to be in the same group as the Qedit program, while Qmap must be in the Pub group and the CM compilers in the Q group. The Verify Account command shows what account Qedit searches for the Qeditmgr file, Qmap.Pub, and the CM compilers. Use Set Account to override the default. The Verify Filename command shows the names assumed for the "help" files and Set Filename allows you to override them. Suppose you run Qedit in the Util account, but you don't want to move the rest of the files to that account. You would use Set Account Robelle and Set Filename commands to force Qedit to look back into Robelle for the files instead of in Util. When you install MPEX and the Vesoft account, they make a copy of Qedit in Pub.Vesoft and "hook" it for closer cooperation with MPEX. You may not find that you need a hooked Qedit, now that Qedit has a :Listredo stack and accepts the VESOFT-style shorthand ("," for Redo). Some remaining benefits of hooking Qedit are that the System Manager can Keep across account boundaries (but watch out for Creator name), and ACD information is retained from Text to Keep. The MPEXHOOK procedure, which intercepts file system calls made by Qedit, is activated differently based on whether the program to be executed is a native-mode or a compatibility-mode program. On Classic systems, or on Spectrum systems running compatibility-mode or OCT-mode Qedit, you run the hooked program with lib=p. The hooked version will work version either way. The Lib parameter is there for MPE compatibility reasons (Classic vs PA-RISC). The XL file parameter is the "correct" way of doing it on MPE/iX. The following sample User Command, which can be used to run the hooked version of Qedit, determines if Qedit is native-mode or compatibility- mode, and invokes it accordingly. VESOFT advises that you be running MPEX version 23.11115 or later, so that the Keep-across-accounts feature will work properly with Qedit/iX. If Qedit/iX aborts with quit parm -50 or -1041, this indicates that the MPEXHOOK support routines are not correctly installed on your system. You will have to stream the VESOFT-supplied job Veproc.Job.Vesoft. If the hooked Qedit/iX still aborts after running this job, you will need to contact VESOFT for a software update. If you remove Qedit from your system, you will want to revert to the original MPE compilers. Once you remove the compiler interface you can no longer compile Qedit workfiles. you may either Keep them with Qedit, or use the contributed program Qcopy.Qlib.Robelle to convert them to Keep files. If you did an integral installation of the CM compiler interface, you now do an integral removal. If you did an isolated installation, you now do an isolated removal. Reverting to the original NM compilers is a simple matter of going back to the original command files. You should have saved those in @.Stdcmd.Sys. Purge the command files in Pub.Sys, such as Pasxl, and Rename or Copy the originals from Stdcmd.Sys. Qeditj3.Qeditjob.Robelle removes the Qedit CM compiler interface that had been integrated into MPE. The original compilers are Restored and the CM Interface is removed from the system SL. If you are on MPE V, a new cold load tape is created. Ensure that no one compiles for the next half hour. Stop all jobs and send an operator warning. Log on as Manager.Sys, modify the first line of the Qeditj3 job to include the passwords, then :Stream the job. Qeditj3 first attempts to :Restore the original compilers from a backup tape (you can use the last Hewlett-Packard update tape). Mount the tape and :Reply on the console. It then removes the Qedit interface segment from Sl.Pub.Sys and requests a tape to make a new cold load tape. Please mount a blank tape with a write ring and :Reply. Save this tape and use it on your next cold load. Qeditj3a.Qeditjob.Robelle removes the isolated CM compiler interface from the Robelle account, leaving you only the original ones in Pub.Sys. Ensure that no one compiles or uses Qedit until this job finishes. Stop all jobs and send a warning to all users. Modify the first line of Qeditj3a to include the Robelle account password and stream the job. Qeditj3a purges fixed compilers from the Robelle account, removing the interface. Qedit aims to provide everything an MPE or HP-UX programmer could need to write COBOL, PowerHouse, or other programs, and to prepare documentation. Therefore, Qedit has Line mode for batch editing and full-screen mode for interactive editing. On HP terminals, Qedit's full-screen mode is called Visual mode. NOTE: As of HP-UX 11.0, HP has dropped support for block-mode terminals. For this reason, full-screen editing is only available in Screen mode on HP-UX 11.0 and later. In Visual mode, you have access to all Line mode commands (including UDCs, command files, compiling, linking and running programs, shell scripts, and string searching and changing). Qedit's search and replace functions aim to be simple, fast and powerful (e.g., ignore embedded words, etc.). The Undo command allows you to cancel any previous edits to your file, working back to the state at which you started. Using the optional Open and Shut feature, you can switch between files instantly. With the Justify command, the Prose text formatter and the Spell checker, you can format documents such as memos and manuals. Use the F7 key to execute commands. The current screen is not updated, unless you have Set Vis Update On. Type whatever command you want to execute after the ===>. This includes "strings" to find, Qedit Line mode commands such as Open or Justify, MPE commands, calculator commands (=5/6), and special Visual commands (e.g., * for Refresh, ? for Help). Then press F7. Qedit reads only the home line and executes the function. To first save your screen changes and then execute, use Enter instead of F7. To return from Visual mode to Line mode, use the F8 key. Press F8 again once you are in Line mode to exit Qedit and return to MPE (: prompt). If for some reason F8 fails to exit from Visual, type / at the ===> and press F7 or the Enter key. This should get you back to Line mode. In fact, you can execute any MPE or shell command in the ===> line. You can :Link and :Run, :Listf, :Showjob, ls, and even execute UDC commands or shell scripts, just as you do Qedit commands. You may enter any Line mode Qedit command in the ===> line, including Opening another file, MPE % commands for an external program such as MPEX, and calculator commands (=). The ZZ cut-and-paste indicator can be used to mark a group of lines for use in any Qedit Line mode command.